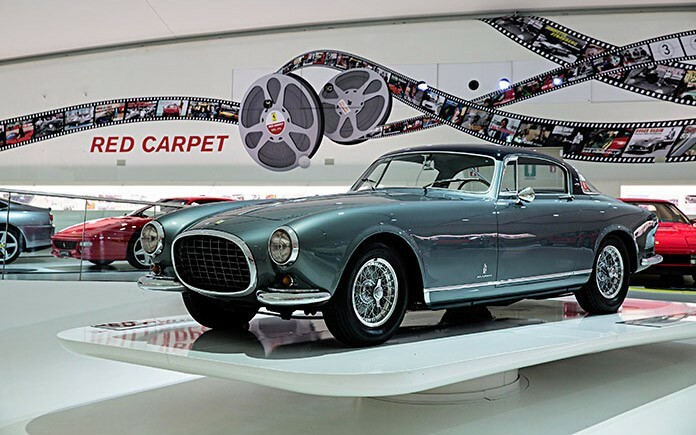 To celebrate Enzo Ferrari’s birthday, a new exhibition was unveiled at the Museo Enzo Ferrari in Modena entitled “Red Carpet”. 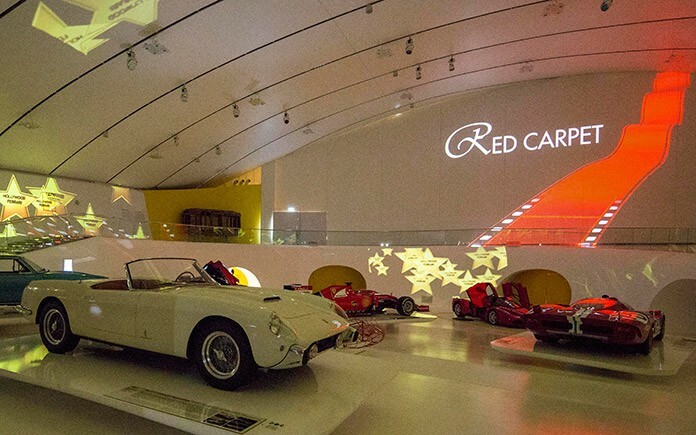 As the name suggests, the exhibit is a tribute to Ferrari’s role on the Silver Screen and beyond. But Ferraris relationship to Hollywood is not limited to its role in the films themselves. Many actors and actresses are or were devoted Ferrari owners also. 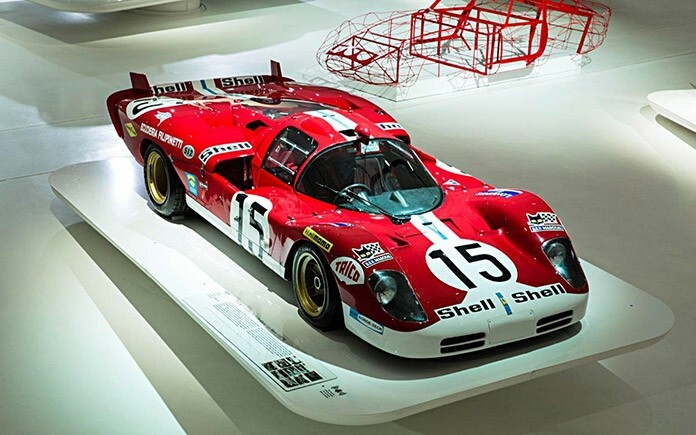 Paul Newman, for instance, even competed a 365 GTB4 in legendary races such as the 24 Hours of Daytona while Steve McQueen owned a whole slew of Ferraris now much sought-after by collectors. 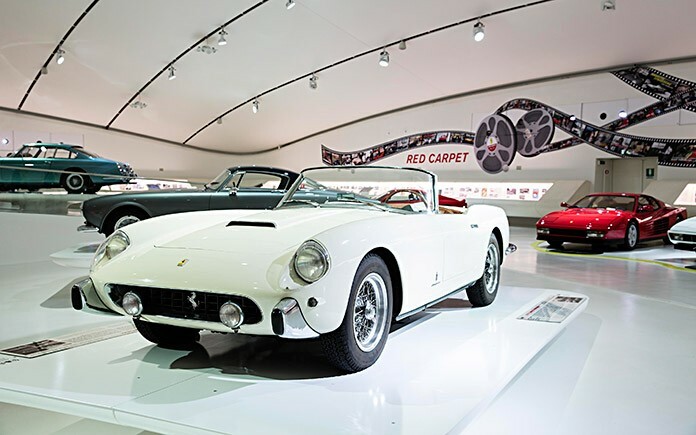 Marilyn Monroe adored Ferraris too – the white 250 GT Cabriolet Pininfarina featured in this exhibition was one of her favourites, in fact. Peter Sellers, Nicholas Cage and many other famous faces besides also fell under the Prancing Horse spell. Like any exhibition, this one has taken a little artistic licence to include the F430 Schumacher voiced in Cars, complete with big cartoon eyes. We also picked the Thomassima, an American-style Ferrari sculpted by designer Tom Meade on 250 GT running gear, to symbolise the many Maranello cars that have appeared on screen in disguise, not least in the Fellini-directed segment of Histoires Extraordinaires, The Racers and The Love Bug.